Order a Local Number Now! When choosing a business phone number a business owner has to decide if he needs a toll free number or a local number for his business. Depending on the nature and location of the business, a local number is often the best option. How can a business decide it needs a local number or a toll free number? If the business is a flower shop that delivers flowers and plants, then a local number is a better option than a toll free number. In other words, businesses that cater primarily to the needs of people in a particular place or region should use a local number. A local number creates a strong local presence. People identify with a local business where they can place their order for a home delivery or office delivery. 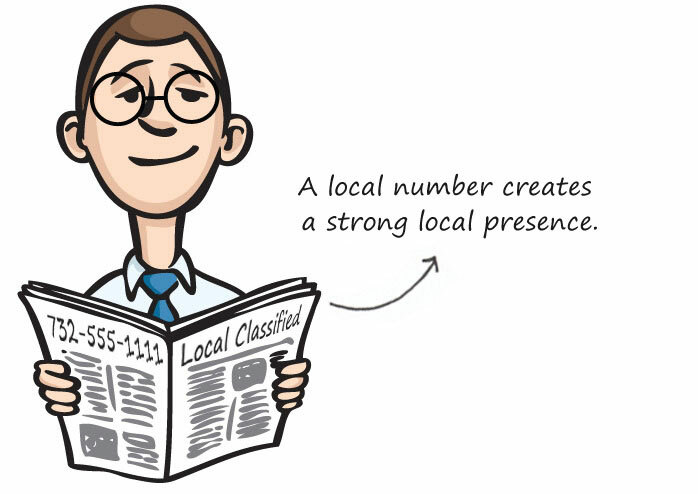 A local number does not create a national presence as a toll free number does. Get a local phone number from iTollFreeService and create the perfect image for your success! Get a Local Number Now!